The operatives of the Economic and Financial Crimes Commission has exposed an online that reportedly defrauded Nigerians after MMM. 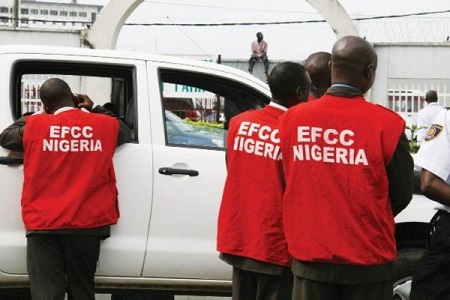 According to a report by Vanguard, the Economic and Financial Crimes Commission, EFCC, has busted the activities of an online company, Swiss Golden Company Limited, which defrauded over 7,000 Nigerians to the tune of over N3 billion. This is coming as Nigerians are just recovering from the devastating losses they suffered while taking part in MMM.